Technology is a wonderful thing. It makes our lives simpler and more efficient, and has provided countless advances that have become essential to daily life. But with all of our technological advancements, we can become a little obsessed with “improving” things with technology that don’t necessarily need to be improved. Often, we go so far with our excitement about technological “advancement” that we add complexity to something that was previously incredibly simple. My lunch experience today was just one such occasion. One of the partners at my firm and I decided to hit the local pizza buffet for lunch. We ordered up our buffets and drinks, grabbed our drink glasses, and were greeted by a jolly fellow standing at the soft drink machine. In the place of the usual five or six soda choices and the ice dispenser stood a machine with a single opening and one dispenser. Above it was a screen displaying multiple soft drink choices. The attendant happily gave us instructions on how to operate the soda fountain. 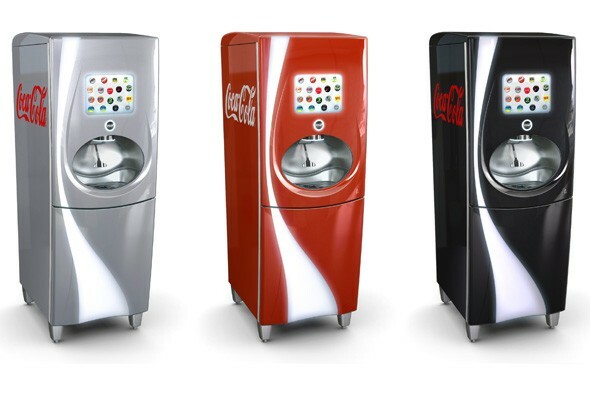 Apparently it can dispense over 120 different flavors of soft drink. You touch your “base” soft drink on the touch screen, then select the variety of drink you want. For example, I wanted a Dr. Pepper. I touched the logo, and another screen appeared. I could choose between the original, Dr. Pepper Cherry, or Vanilla Dr. Pepper (I think). I just wanted my normal, everyday, original Dr. Pepper. Other choices, such as Diet Coke, had a much larger range of choices. It had cherry, vanilla, lime, raspberry, and maybe even orange. It’s kind of a neat concept at first, but after about 1.7 seconds of thinking about it, you realize how silly this is. Wow, this soft drink dispenser now offers 120 different options! That’s so cool! Wait a second… No, it really isn’t. It just means that instead of pushing the lever under the Dr. Pepper spigot and receiving my Dr. Pepper menu, I have to navigate through touch-screen menu selections just to get the same soft drink choice that took me no time at all. I can’t even push the water lever; water has its own menu choice. Plus, those people who have zero decision making ability whatsoever will be paralyzed by the number of choices. What starts out as a refreshing beverage choice turns into an existential crisis! Oh, the humanity! Ultimately, this is just another area where technology makes a mundane experience that much more complex. Speaking of technological complexity, the guys over at ESPN’s Baseball Tonight seem to have trouble working touch screens. God help you if you end up behind one of them at the soft drink dispenser! Every once in awhile, something happens that triggers incredible nostalgia for me. A brief whiff of a scent, a piece of music, a few words spoken and I’m transported into the past. It’s not always a particular memory, but an association with a certain place. For example, there’s a bird (a dove, I think?) that occasionally will sing in our backyard in the mornings. Whenever I hear it, I’m transported to Kenya, sitting on the porch of our safari “tent” after a morning safari adventure. I’m not sure if I ever heard a dove song (or whatever it was) in the Maasai Mara, but the sound of that bird puts me back in Africa. I love that feeling. Another happened to me this morning. The line is from Train In The Distance, a song by Paul Simon. I just read that it’s on the Hearts and Bones album, but I know it from Negotiations and Love Songs, one of Simon’s greatest hits albums. It’s music I grew up listening to in my parents’ cars. It became a tradition to listen to that album on trips to Colorado. We might not have listened to it for an entire year, but we made sure to have it on our drive to Colorado. The early-morning wake up call in Dalhart, Texas; stumbling to the suburban so that I can steal an hour or so more of sleep; waking up and hearing Paul Simon as we approach Sierra Grande in New Mexico. To me, hearing Paul Simon means the anticipation of seeing mountains in the distance, and the excitement when they finally appear. As I’ve grown, the tradition has stayed alive. Whenever my wife and I drive to Colorado, we make sure to have that CD on hand. As we cross over into New Mexico, we pop it in. It stays in the CD player usually all the way to Colorado Springs, if we take that route. Last time we went a little different way, taking 160 from Walsenburg to Alamosa, up 17 and 285 to Buena Vista and 24 all the way to I-70 near Vail. So when my wife sang that one line from Train in the Distance, I was immediately back on the road to Colorado. It’s always a different road, though. 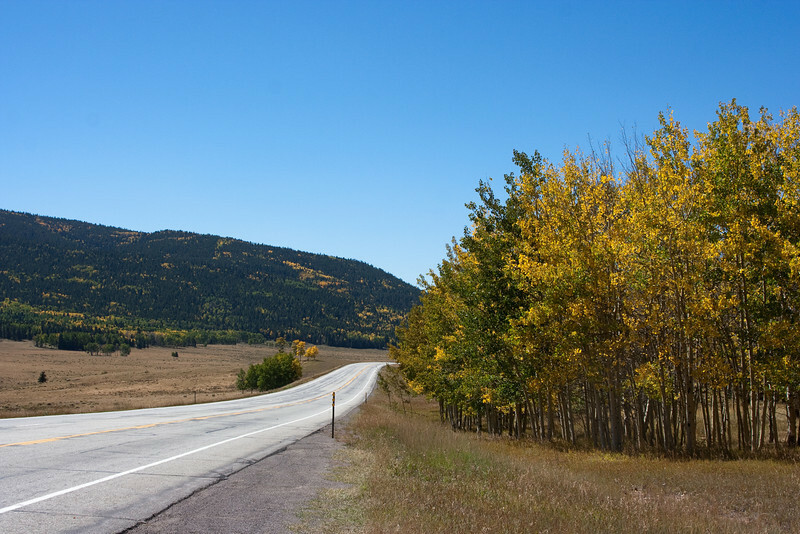 This time I was transported to Highway 160, about halfway between Walsenburg and Alamosa, near Mount Mestas (oddly enough, part of the Sangre de Cristo Mountains, featured in Simon’s Hearts and Bones, another song on the album) and Iron Mountain. 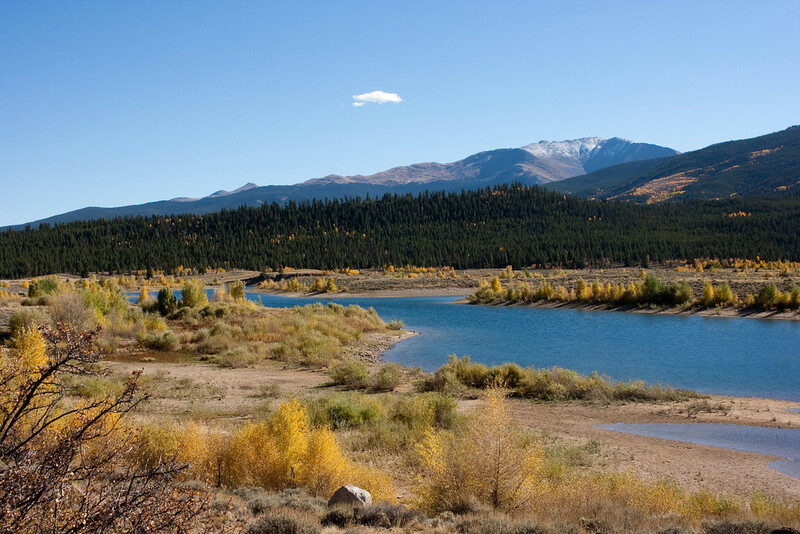 It’s early fall and the aspens are turning. 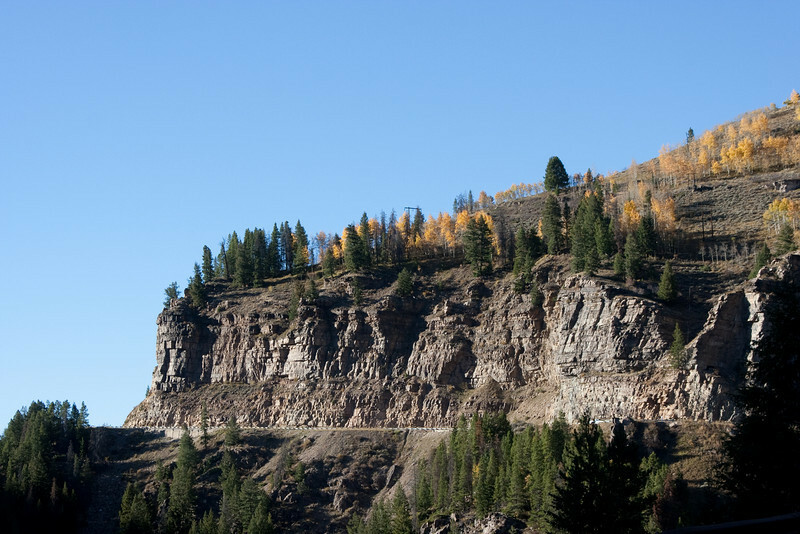 A backdrop of deep-green pine provides sharp contrast to the bright gold of the aspens and browns of the grass in the valley. The air is clear without a cloud in the sky and the temperature is mild; the day is perfection. I’m captured by the natural beauty of the mountains. 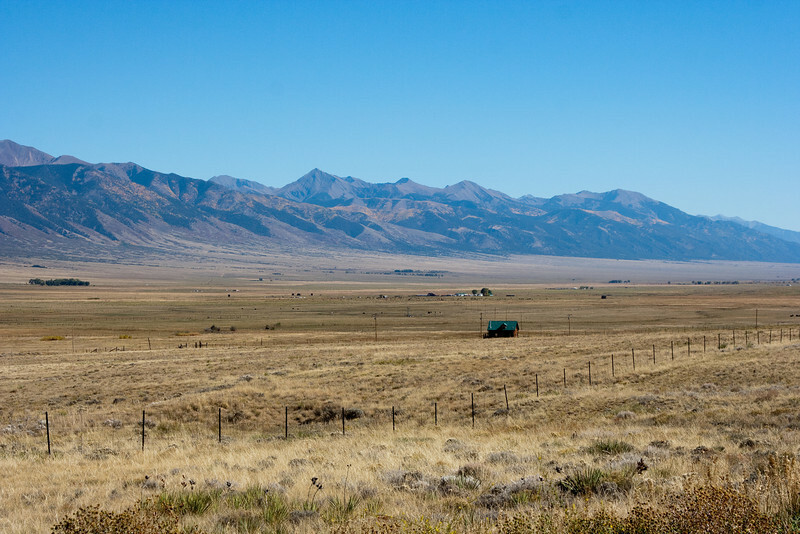 We turn north in the San Luis Valley, with the Sangre de Cristo Range to our East. The road is flat and straight, but the views continue to captivate me. Eventually the Sawatch Range will come into view, but for today I’m content with views of Blanca Peak, Mount Lindsey, and the golden beauty of changing aspens. And Paul Simon warns us that negotiations and love songs are often mistaken for one and the same. I had planned on taking a week off from the Friday Funny post; it seems like most of what I’ve been posting recently have been either Movie Mondays for Friday Funnies. But, I just couldn’t pass this one up. I’m a giant nerd. If you haven’t figured that out yet, then you’re not one of the six people who regularly read my blog (that number may have dwindled to two or three during my hiatus, I’m not sure). I grew up on Star Trek: The Next Generation. The show will forever hold a special place in my heart, as those characters took me through my middle school and high school years. The show was something that my mother and I could have serious discussions about and helped strengthen our relationship during those oh-so-tumultuous teenage years. This isn’t a recut or a mashup, it’s simply a scene from one of the shows with a laugh track added in. There are plenty of awkward humorous moments in the show, and this one is no exception. The laugh track works pretty well, I think. The “credits” set to the theme from Parks & Recreation just make it all the better. And to prove my nerddom, this is from the final episode of the series, “All Good Things…” Enjoy, and happy Friday. Mission Impossible 4 – Yep. When you go to the movies every week, you start seeing the same trailers over and over again. War Horse – The trailer opens with “A Steven Spielberg Film” which grabs my attention. The rest of the trailer? Not so much. Lots of shots of a kid, and lots of shots of a horse. Not a lot of other details. Oh, it’s World War I. Three Musketeers – How many times has this book been adapted for the silver screen? I don’t care. Milla Jovovich as M’Lady De Winter and Christoph Waltz (famously Hans Landa from Inglorious Basterds) as Richelieu have me looking forward to this one. Plus, they’re going steampunk a bit it looks like. That can’t be bad, right? Right?? The Amazing Spider-Man – My Dad looks at me after this one is finished and says, “Really?” Exactly, Dad. Exactly. Battleship – It’s the Milton Bradley game made into a movie, only the bad guy’s pieces are aliens. But hey, it’s got Tim Riggins from FNL in it so there’s that. Tower Heist – A thuggish Eddie Murphy teams up with Ben Stiller to take down Alan Alda, a Bernie Madoff-like investment guru who stole a bunch of money. Oh yeah, it’s directed by Brett Ratner. I think I’ll pass. The movie starts out pretty much the same way the previews suggest – Daniel Craig wakes up in the middle of nowhere in his long johns, not knowing who or where he is. He ends up in town at a bar, has a near-standoff with the unruly son of the local cattle baron, and gets locked up for being a wanted man. The unruly son gets locked up for accidentally shooting a deputy. Harrison Ford, the cattle baron, learns of his son’s plight and organizes a lynch mob to come and collect his son. It seemed like they were setting up Ford’s character to be the antagonist of the film, and if this movie had just been titled “Cowboys,” that probably would have been the case. But not long after Ford’s lynch mob arrives in town to collect his wayward whelp the real antagonist arrives and begins abducting the townsfolk in what appears to be the alien equivalent of round-up, complete with alien lassos. Daniel Craig manages to shoot one of the alien craft out of the sky with his mysterious bracelet-turned-alien-killer-thing. The townsfolk lose many to the alien abductors. Amongst the abducted are the Sheriff and Harrison Ford’s son. This, of course, forces Harrison Ford to team up with Daniel Craig, and they give the aliens a merry chase. All the while, the mysterious and striking Olivia Wilde hovers about, acting quite mysterious yet remaining striking throughout. You know she knows more about what’s going on. As the story unfolds, we learn that the aliens are after one thing. It’s not us… It’s not our water… It’s not all of our natural resources, no. They’re after… Gold. Apparently, they love gold. It’s as rare to them as it is to us. As far as I remember, though, they didn’t really explain why they love gold, or why they need it. It also didn’t really explain all of the people round-ups that had been happening. If they’re after the gold, why round up all of the people? Snacks, I guess? Throughout the film I kept thinking to myself that this was a movie with an identity crisis. Each time I thought that, I chuckled and was reminded that the movie is in fact called Cowboys and Aliens. I suppose I’d hoped for a better merging of the genres, something like Firefly. Firefly was a sort of “space western,” set in the future, but heavily infused with wild west elements. The thing was, given the premise of that show, it worked well. Here, it doesn’t work so well. The cowboy scenes are very cowboy… Open ranges, posses on horseback, your typical western fare. The “alien” scenes feel out of place. I simply think they could have merged the two better, instead of it being a case of dueling genres. This one had a solid cast. Daniel Craig was great as the bad-guy-turned-good and handled himself pretty well as a cowboy. At first I wasn’t really sure about his accent, but he doesn’t do a whole lot of talking so it works out fine. The film makes good use of Olivia Wilde, taking advantage of her striking features to make you think that something isn’t quite right there. Sam Rockwell plays the doctor-turned-saloon-owner who finds his courage and helps save the day. Harrison Ford’s does a good job, but it felt like the movie couldn’t quite figure out what it wanted to do with the guy. First he’s a ruthless cattle baron who will circumvent the law for a son he doesn’t care for at all. Next, we learn that he’s a grizzled civil war veteran that lost a bunch of men at Antietam while fighting for the Union. The problem is, we later learn that when he was a boy, he spent time with his father in Mexico. Did he grow up in the South and fight for the North? It’s confusing. After that, he serves as a father figure for no less than three characters. Despite all of that, Harrison Ford’s performance was my favorite of the movie. All in all, this was a decent summer movie that felt like the filmmakers simply couldn’t make up their minds about what they wanted it to be. The action sequences were well done, the effects were interesting, and the alien design was one of the more unique that I’ve seen in awhile. It had all the trappings of both a western and an alien invasion film, but it just doesn’t blend the two genres as well as it could have. Because of that, I ended up being a little disappointed. Here we go. I’ve seen more trailers for this one than any other summer blockbuster, and frankly I was getting tired of seeing the same trailer over and over. I’m glad it’s finally here. I was about to say that I’m sure Rise of the Planet of the Apes will take over as the over-trailered movie, but it opens on Friday, so there’s no chance of that happening. At any rate, I’m looking forward to this one. There have been loads of trailers but not an incredible amount of details about the storyline or the characters that I’ve read so far, which is just the way I like it for movies that I’m anticipating. The less I know about it going in, the better. Plus, the movie isn’t being offered in 3D, which makes me oh so happy. Thank you, Jon Favreau. As a side note, I’ve been seeing that the reviews for this one have been fairly mixed. However, I pay attention to reviewers only when I’m not entirely sure I want to see a movie, like I did with The Green Lantern earlier this summer. When there’s a movie that I know I want to see, I don’t care if the critics hated it so much that they threw tomatoes at the screen during their viewing. I’m still going to see it. As for the ones that I’m on the fence about, I’m probably going to take the advice that Jeremy offered several weeks ago: “Find a critic who likes the same movies you do, read him or her, and ignore the rest. Professional critics don’t judge on quality anymore. Instead, because they see 1800 movies each year, they look for something new and different, rather than just plain enjoyable.” I need to do that. Find a couple of critics that see movies the way I do and trust their judgment on movies about which I’m on the fence. My thoughts on Cowboys & Aliens coming your way late tonight or tomorrow. Cheers!